One of the common questions we get at Cinema Sound is “what kind of audio system should I put in my home theater?” We’ve recommended all kinds of speakers and amps over the years, and you can read about some of those suggestions in this article. But one of our members is building a theater installation, and he had asked us months ago what kind of audio system he should put in there. He gave us a budget that was super low. 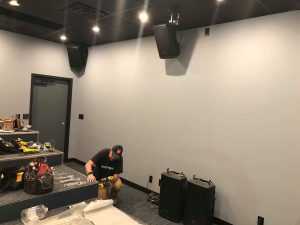 But given our experience with active surround sound loudspeaker systems, we gave him our hearty advice in the following way to get awesome theater-level audio into his facility. Building a screening room isn’t always easy or cheap. 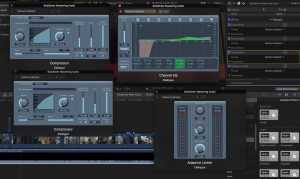 USA Cinematic Dialog Norm = 85 dBspl @ -23 dBLUFS (roughly -20 on a weighted DAW meter). This means that the full-range speakers need to be able to peak at 105 dBspl into the middle of the theater. 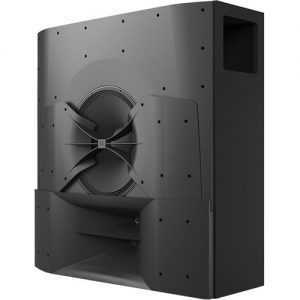 If it takes 187.5 watts of power (the average wattage of the woofer and tweeter amps in the 6328p) to create 85 dB at 4 feet, how much power does it take to make 85 dB at 10 feet away (the theoretical radius of a home theater room based on where the speakers are)? 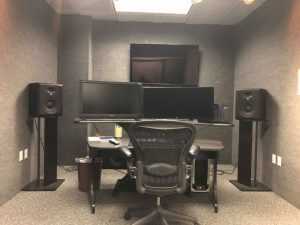 My good friends the JBL 6328p in one of the new editing rooms at the facility. Add to this the fact that peak volume needs to be even more, but since we know that a 250 watt rated speaker (again, the 6328ps) appear to have no problems with that kind of peak volume, we’ll suggest, with a 10% margin for error that a 500 watt speaker will do the job. Cool. So what are the prices for a theatrical grade 500 watt full range self-powered speaker? Well, our good friends at Harman/JBL have a brand new speaker system which is far more efficient and has a patent pending technology for small to medium-sized theatrical use at a 350 watt rating. Nice. The JBL C221 is the ticket. And at a $1,300 price tag, you’re looking at $6,500 for 5. Of course, you probably don’t need this kind of robust speaker for your surrounds, and there are cheaper models for those channels, but you’re still into it for around $5,500. Crown DSL 1000, which is 500 watts a channel at 8 ohms – and two channels only for $700 each thus you’ll need three = $2,100. These amps make noise so you’ll need to have them in a machine room isolated from the program room. All told, you’re into this for around $7,500. Nice. The good news is, you’ll have a CRACK sound system that will make everything sound amazing. And with JBL quality, you’ll have this system for years to come. The bad news is that it’s not cheap, and depending on the size of your room, you may have just spent your whole budget on speakers and amps. What’s the alternative? The methodology of the Sound Advice Sound System. We had a VERY small budget for that tour, and we knew that we needed to do a 5.1X2 system. We also didn’t have a sponsorship from JBL at the time, and we made do with what we had. PA speakers. Now, PA speakers sound terrible. Their main role is to sound “loud” not great. 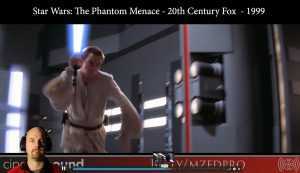 And they do that by boosting the frequencies that your brain is sensitive to: 2k, 4k, 800 hz. This kind of frequency response is unacceptable for a theatrical system. However, because they are rugged PA speakers, they also had built-in 1000 watt amplifiers and passive crossovers. Since we’re never going to run the kind of volume in a small-to-medium theater (with 5 of them!) that their over powered watt rating allows, we can USE that extra power to force the speaker to do what it was NOT designed to do: sound good. by tuning them with eq), it requires a great deal more of the amplifier in the speaker to create similar dBspl…but it can manage the extra work, because it’s got a power rating which is so high (double what we need in our theater). Add to this the benefit that these PA type speakers are rugged and meant for punishment, and similarly balanced with a PA-grade subwoofer system (again, which must be EQed for the PA-ish-ness it will have), you can easily turn an awful sounding PA surround system into wonderful sounding 5.1 system fit for cinematic delivery and high dBspl levels for a fraction of the cost. What speaker do we recommend: The JBL Eon 615. 1000 watts of peak power, rugged, all-weather design, with some limited DSP for helping with that PA-like sound. 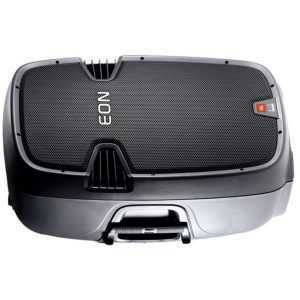 It also has ports for its brother sub woofer the Eon 618S. Super easy connectivity and you’re up and running. No issues with overloading the speakers or hurting the electronics or dealing with ohm mismanagement or power issues. They just work out of the box. Dope. contour-from flat that you’ll want to set up. Here we suggest getting the best 6 channel dsp for your buck you can. Outside of that general rule we don’t have a recommendation. However, we own and love the VERY inexpensively priced DBX 231s. Is it audiophile? Nope. 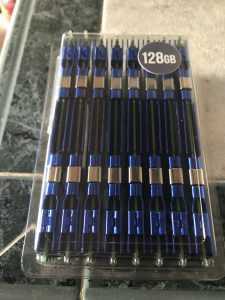 Is it super affordable and does the job? Yep. Just patch your 6 channels into three of these stereo units, and tune each channel to your heart and ears’ content. Then lock them away from sticky, prying fingers, and you’ve got an incredible sound system for theatrical delivery. And since you’ve got all this money left over, you might just consider going 7.1, 11.1 or even higher if you can deliver the 3D audio elements discreetly. Well, what IS the price? for a total of $3,000 for a 5.1 system. Can you do better than this? Well, I’d love to hear about it if you can: a 6,000 watt system for $3k complete with 6 channels of 2X DSP. Special thanks to our Cinema Sound member Michael McCool who is building an amazing facility in Utah.